When last we spoke, I was in the thrall of The World of Madeleine Castaing. Oh yes, and I had to go to a wedding in Richmond. And, I failed to take any cables for my laptop, so we went a bit silent. 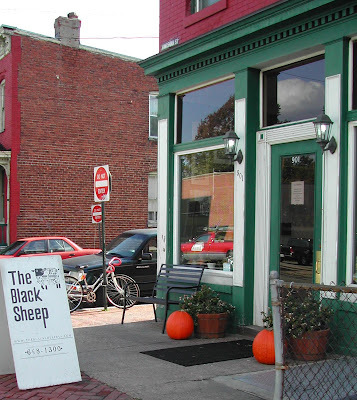 However, while at the wedding in Richmond, we had the chance to go to The Black Sheep, a wonderfully acclaimed little joint. If you watch foodie shows, you might have seen The Black Sheep on those "I bet you can't eat it all at my dive diner" kind of shows. According to the menu, they make BATTLESHIPS, not subs. Judge for yourself. This is the CSS Virginia. 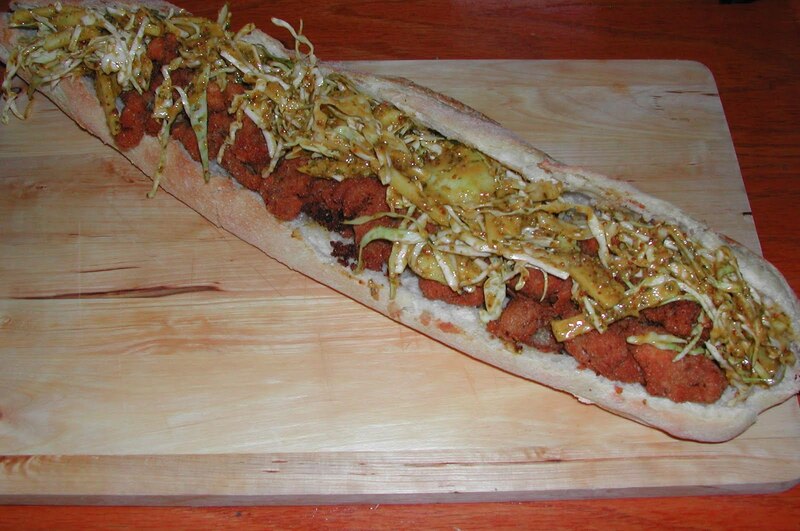 It is filled with fried chicken livers and a slaw of shredded cabbage, green onions, granny smith apple & remoulade sauce. About half way through, the chicken livers and slaw jumped ship, but I can hold my head high and say with pride: I sunk their battleship. 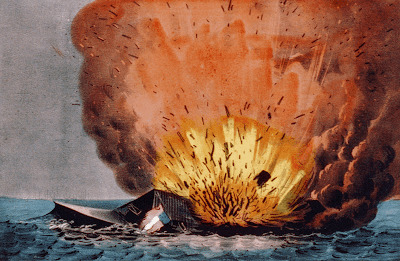 off Craney Island, May 11, 1862, by Currier and Ives.